Sunday changed me. It changed me in more ways than I probably can put into words. My soul changed. My body changed. My willpower changed. On Sunday, I ran the TCS New York Marathon. As I write this blog post, my body is aching, begging for fuel and attention. I am mentally and physically exhausted - close to how I felt after childbirth. And yet - similar to how I felt after birthing my daughter - I feel powerful and exhilarated. When I run, I find the ability to concentrate on one thing only. I put my headphones on, tune out the world and all its noise, and focus on my body. Running has always been independent for me. I am a member of only the New York Road Runners, and I shy away from running clubs. Running isn't social for me; it is therapeutic. On Sunday I was prepared, rested, and game for a hilly 26.2 miles through New York's five boroughs. I had my playlist synced to my step count. Every detail was meticulously planned out to put me over the finish line at around four hours. I knew I could do it. I was ready to do it no matter what mother nature threw at us runners that day. The rain started just as the cannon went off for my wave. That didn't matter; I was prepared. Mile one through 14 I was steady and my energy high. And then the Queensboro Bridge happened. I did not anticipate how slippery the metal channels of the bridge would be. As I began the steep and long incline I stepped on one, and my right knee went right, and my leg went in the opposite direction. I heard a pop as I stumbled a bit, but never stopped. I knew if I looked down or acknowledged the pain the race would be over for me. I made it all the way to the Willis Avenue Bridge before fatigue caught up to me and I could not tune out the pain. I began to slow down into a hobbling lope. I saw an end before the finish line, and it was crushing. I looked to my left and saw a man struggling like me. I saw the pull of his hamstring and the pain on his face. He was as depleted and in as much pain as me. I pulled my headphones off for the first time during a run and said to him, "We need to do this together." I needed someone to support and encourage me, or I would have failed. My music wasn't enough anymore. My willpower wasn't enough anymore. I needed help. I needed someone other than myself. At that moment, I found my team in what I considered a solitary sport. For those last few miles, we encouraged one another, pushed one another, and in the last 200 meters he grabbed my hand, and we ran. We ran faster than we had in those preceding miles together and finished the race, hand in hand, before collapsing over the finish line. And without my headphones on. We thanked and embraced each other, and in a cluster of other finishers, emotions, and marathon volunteers we walked our separate ways to find our families. As someone hung a medal around my neck, and a poncho draped over my shoulders, I broke down. Yes, partly from exhaustion and my knee pain, but mostly because the realization of speaking about "Creating A Tribe Of Motherhood" isn't just in raising our children. We need a team to help raise ourselves. We need a team to show us what we are capable of achieving. And what is possible if we have the support and strength from those around us. So thank you to the stranger that broadened my Tribe yesterday. As parents, we believe providing our daughter with the opportunity to view the world's beauty, diversity, and to cultivate respect and appreciation for all, is of the utmost importance. Our wish for her to recognize the value of travel, yet remain grounded and humble without a sense of entitlement that can come with such experiences. Let's not BS here, at almost three years old how can we expect her to grasp that concept? (Quo the full blown temper tantrum that took place today - hitting at me and throwing herself onto the pavement - over me saying no to a second dessert). My expectations are realistic for her first European visit. No, I do not presume she will remember the tour of Lisbon or the all the historical stories I have presented to her this past week (geeky history buff over here). Yes, I expect that scoop of gelato to be more important to her right now than all the time and effort my husband and I put into planning this trip. Still, with the little memories, she will retain of these trips during her early years I am confident that the experiences, encounters, and environments will shape the person she will become. Her appreciation for adventure will continue to blossom. Her world will become bigger than the city she calls home. And her understanding of the good and the evil that makes up humanity will be well-formed. So for now, I will take deep breaths as I attempt to peel my kicking and screaming child off the pavement - while mouthing silent apologies to those around me. And I will relish the "WOWs" that escape her lips as she wanders through the foggy forest of Parque e Palácio Nacional da Pena. Parenting has never been simple, but these days, it can be downright overwhelming. Throw social media into the mix, and now everyone has an opinion on what you should or should not do as you raise your kids. I joke that I am #badparenting, but sometimes my child is not going to eat organic food at every meal, and sometimes I am so exhausted in the evening we curl up on the couch and watching a movie together and that does not mean that I am treating my TV as a babysitter. We all know how disheartening it can feel, especially when you are just barely holding life, work, and family in a fragile balancing act. Parents, I hear you. I see you. I am you. Here comes the guilt. The guilt in the realization that I know that these moments are fleeting. That one day I will not have the opportunity to wrap my arms around her and feel her body relax as she drifts off to sleep. That there will come a day very soon, when she will say, “Get real, Mom!” if I ask her for a hug and kiss in public. That “fix it all” Mommy will no longer be needed, and she will be able to soothe herself when she gets a boo boo. I cannot quit my job. I cannot be a stay at home parent. I cannot allow this guilt to tear me up because I did not give up my personal and career ambitions the moment I became a Mom. And no, I am not a #badparent because of all this. THESE ARE MY PERSONAL CHOICES. I do not judge any parent on what choices they made for themselves or their families. We are all just trying to make it through each day the best we can, right? Still, the question lingers, how do I alleviate some of this guilt as every time I blink my daughter is growing and changing? I make sure to carry my camera with me everywhere. Sometimes I feel like it’s just adding to the weight of my diaper bag (that is the size of a carry-on), the stroller, and car seat. Only when I start shooting does all that outside noise dissipate, and it is just me and my family focused on moments I will miss so dearly once they are gone. It is therapeutic as well as comforting in knowing that I will have those moments preserved forever. So that one day when life feels like I am in the middle of the Fiestas of San Fermin with bulls running over me, I will have those deeply cherished photographs to pull out, bring a smile to my face, and know that I am doing the best I can. The right time – Oh, those three little words. To me, everything about parenthood appears to revolve around these three words. When is the right time to have a baby? When is the right time to start solids? When is the right time to start potty training? When is the right time to go back to work? What is the right time to sleep before your child completely loses his mind (that ‘tipping point’)? In all these considerations and choices, you are required to make daily how often do they revolve around you solely? Elizabeth Stone’s words could not resonant truer. The woman nailed it! Is this how every parent’s thought process changes instantly the moment they decide to try conceiving a baby? Moment-by-moment, day-by-day, year-by-year, we live it. Frankly, it’s exhausting. These decisions and anxieties make the time pass unimaginably faster. For me, when my world (and brain) slows down in those soft moments of cuddles and fits of laughter, or when I find myself crying because I cannot comprehend loving anyone more, I would just want to stop time and savor it. Unfortunately, almost never are these moments preserved through images. By booking one of my Unscripted Life Sessions, these precious moments can be held on to forever. These photographs become an asset when the stress of managing that balance feels overwhelming or when the bonds within your family need tightening. My sessions are structured to narrate the family stories – your story – of the chaos, love, and laughter in a way which traditional photography is unable to capture. This balancing act of life and work is difficult and demanding. Your efforts will remain unknown and underappreciated to your children until they experience it one day. You owe it to yourself, to have photos of you and your loved ones during these baby and adolescent years to show your strength and resilience. When the time comes to say, ‘I remember….’ you will have images to share along with your stories. As I write this post, I am on a plane with my two-year-old who is entertained by Sesame Street on her iPad. Yes, I am the parent that uses the occasional screen time to get work (or ANYTHING) done. I sometimes struggle when I find myself buried deep under a demanding career, corralling a toddler, juggling the delicate balancing act of coordinating family schedules, and squeezing in as much quality time with my husband and daughter. I believe I am safe in saying most parents nowadays feel similar pressures. Now, let us throw into the mix the societal influences of “parent culture” which insists you are a hands-on parent of perfection while simulating how effortless it all is. Its doctrine states you are immediately required following the birth of your child you forget who you were moments ago. The punishment if you do not, is the harsh judgments of other parents over your seemingly “inattentiveness.” Let’s be real. Be honest with yourself. This is unattainable. In all attempts to scale this Everest peak of parenthood you will ultimately deplete yourself to the point where there is no enjoyment through the exhaustion. So what is a parent to do? As the flight attendants stated prior to takeoff, put your air mask on before assisting others. Taking care of your wellbeing will only make you a stronger – more compassionate – parent. Cut out the noise. Slow down your brain. Find those moments of recharge through activities or simple enjoyments. For me, this is yoga, running, and meditation. Right now I have done none of those this week, and my mind is racing, my body is aching, and my fuse is short. Quite honestly, this is not beneficial to me or those around me. It is up to us to stop this mentality of selflessness and learn to be selfish on occasion! My business is centered on preserving those everyday moments with you children through imagery, yet as parents, if we are always living in a state of fogginess we resort to survival mode and do not experience such times. Moreover, then they are gone…. Do not regret missing those moments because you believed it was wrong to put yourself first every once and a while. What do you do to recharge? How to you manage and preserve the YOU time? Let’s use this space as a way to share ideas and provide support to one another to make sure we encourage and judge one another through this journey. I have been asked a lot lately about what camera equipment I use, so I thought what better time than now to share with my followers what’s in my camera bag! If you follow me on social media, you probably have an inkling that I am a Nikon enthusiast. Still, you may be surprised at some of the other goodies in my bag. I have never been more in love with a DSLR than I am with my Nikon D5. You would be hard pressed to find a photographer that doesn’t swoon over the D5, but for me, it is the ISO range in a full-frame sensor that sets the D5 apart. As a documentary photographer, ISO capabilities are extremely critical for producing high-quality images in unpredictable lighting situations. Need tack sharp images consistently? The AF system on the D5 is mind blowing! I started using the D3s in 2009, and it has remained in my camera bag ever since. The D3s was my first experience with a full-frame sensor. Talk about blown away! The D3s has been my longest, most loyal companion that remains my go-to back up after making the jump to the D5 as my primary camera. I am a prime lens girls. Very rarely do I use a zoom lens. In my experience, the image quality on a prime lens outperforms zooms. This is my go to lens – I am talking like 90% of the time. When I teach, I always recommend this lens to portrait photographers since it is so amazing at what it does! I know this frame so well I can shoot from the hip and know exactly what I’m capturing. It dominates my portfolio. This 50mm has exceptionally wide aperture (depth-of-field) control and is my fastest prime lenses. Also, the bokeh (background blur) is the smoothest I have ever seen. This lens is so diverse and gives me the freedom to create whatever image I want whether I am shooting an Unscripted Life Session, working in the field, or creating headshots in the studio. Ah, my old friend. This medium-telephoto lens was one of the first portrait lenses I purchased. It has remained in my bag over the years. It may not possess all the bells and whistles of the newer 85mm primes, but I have never felt the need to kiss it goodbye and update. It is compact, fast, and still, produces absolutely beautiful images. The 85mm allows me to get a close up without invading my subject’s space. This beast of a lens is the newest addition to my prime lenses collection. It is heavy but definitely worth the little extra back pain. I admired this lens from afar for years and finally added it to my collection a few years ago. This wide lens adds diversity to my portfolio and provides a real pop of change when I pull it out over the 50mm or 85mm. Without getting into a complete breakdown of various types of glass, the nano crystal coat on this 24mm produces truly gorgeous images that are unique from what I shoot with my other lenses. I sigh every time I try to find room in my camera bag for this lens, mainly because I cannot recall the last time I felt the need to use it. Maybe I should have thought of this as a rental lens considering the huge price tag, yet it is still on my Shoot Checklist for the occasions I need an optimal wide shoot. This lens is perfect for travel and environmental work. Before my career shift to more family documentary portraiture, I relied much more heavily on this lens. The 17-35mm is packed full of features and truly is the standard for wide-angle photojournalism. Here is the DL on flash. I rarely use it. I personally do not like the look of flash directly on my subjects outside of studio strobes. I prefer a long shutter and tripod, or high ISO before reaching in my bag for a flash. Yet, there are times when I aim to create a more “fine art” image, and I will use this Speedlight off camera to create more dynamic light. The wireless capabilities and ease of syncing of this Speedlight are pretty killer. If you build Speedlights into your work often, do not cheap out. You will definitely notice a difference, and the SB-5000 is my top pick. LOVE! This carbon fiber tripod is so light and can hold upwards of 46 lbs. Put your heaviest lens and camera body on this bad boy, and it will stay rock solid. Everyone has a personal preference on memory cards depending on your camera model. I will not go into too much detail here. I carry a lot of memory cards. For my D5, I prefer Lexar Professional XQD cards with maximum GB per card. I find the upload speed to be super-fast and for image and video storage you cannot go wrong with these cards. For my D3, I have been loyal to PNY Pro-Elite cards. Knock on wood, I have never experience card failure with either brand. Because I am not too keen on flash, I rely heavily on reflectors for manipulating light. I’ll be posting soon on my secrets to creating great imagery with reflectors, so I will not go into details in this post, but the compact folding and lightweight style of Savage reflectors are perfect for keeping to my motto of packing as light and little as possible. Nowadays everyone is a photographer, and I regularly find myself explaining the value of quality over quantity. We can blame this on DSLRs or the simple fact our phones can snap beautiful images. With that said, having the equipment to capture great images does not a photographer make. You have to learn the history of photography. How exposure works. The tip of the day is – PUT YOUR CAMERA ON MANUAL MODE! I learned to shoot on film. I strongly encourage any professional or budding photographer to learn film. Learn how to load film (trickier than you may think). Learn how to develop film. Learn that before DSLRs you only had a limited opportunity per film roll to get “the shot.” Learn that by shooting film you will become a better photographer. For personal projects, I always try to pack my Rolleiflex. Even with all the technology built into editing software nowadays you cannot replicate the look of film. It is like a mp3 versus vinyl. The beautiful and unique sound of vinyl can’t quite be matched. The same goes for film. I pack Ilford film with my Rolleiflex because I love the images the combination of this camera and film create. As with digital photography, the use of a light meter is equally – possibly more – important. Before I shoot anything on film, I use my Sekonic Flashmaster to obtain the most accurate exposure. We have discussed everything that I pack into my camera bag, but what about the actual bag? My newest obsession is my Kelly Moore bag. I have yet to find another shoulder bag that can pack as much as I need while remaining comfortable throughout the day. It is stylish and versatile. I will let you in on a little secret – my husband and I have also learned that this bag doubles as a diaper bag! Extra room for snacks as well! I adore my Collins, but I know I will purchase more Kelly Moore bags in the future. One of the first tips I was given when I started as a photographer was always to replace the camera strap that came with my cameras. This is for comfort of course, but also because the straps that come with cameras are walking advertisements for your camera. Not to sound paranoid, but cameras are stolen all the time. If you are walking around with a black strap with bright yellow letters on it that read Nikon D5, you are basically saying this is a $6,000 piece of equipment (body alone) you might have the opportunity to lift off me. Given some of the locations and environments I have worked in, I simply rather play it safe than sorry. Below are links to two of my favorite straps. Souldier – my all time favorite strap! On occasion, for ‘point and shoot’ work, I use my iPhone 6s Plus with olloclips. Does a camera brand make you a better photographer? No. Can you capture an amazing shot on a phone? Yes. The lesson? Do not limit yourself to one brand, style, or type of photography. That is enough for now. As my camera bag continues to evolve, I will provide updates. I would love to hear from you – questions or comments – as photography is a shared art culture! The first week of the new Administration has been dominated by scenes of Women’s Marches across the country and around the globe. Many observers and participants are calling this renewed activism “the resistance.” The focus being on intolerance, misogyny, demagoguery, fear, hate, oppression – and unfortunately – this list goes on. Before I became a parent, admittedly I did not pay much attention to politics. I was informed, but barely. I thought politics to be more of a topic of avoidance. We all know the rule, right? If you want to stay, friends do not discuss religion or politics. Once I became a mother this all changed. The artist Sarah Walker said, “Becoming a mother is like discovering the existence of a strange new room in a house where you already lived.” This is precisely how I now feel now on the correlation between parenthood and government. No matter what position you hold, we as a society, need to remember our children are listening and watching. Our actions are molding this next generation. It is up to us and the examples we set for how they approach issues. We must always be aware of how we are delivering our messages. With respect. With strength. With peace.Our children will hear our message, so we must deliver it without hate and vitriol. We must present it with regard and empathy for those who may try to shout us down though who may themselves be fighting to be heard in a world that is passing them by. Our children will hear our message, so we must show them that fact and reason will empower us to drive change, but that condescension and disdain will reap enemies and not converts. We must deliver our message with respect for our opponents or else we will remain divided and will never be heard. Our children will hear our message, so we must show them that perseverance comes from persistence. We must deliver our message today and every day until we see the change our children deserve. Only then will our children have the tools and the strength to drive the change their children will deserve and so on. As a parent, I know that there will be obstacles my daughter will face throughout her life that may impact her values and convictions. We all have been there. Those uncomfortable feelings of wavering or instability. Whether it be navigating conflicts in friendships or relationships, questioning her current morals sparked by social, political, or environmental conditions. Or simply maturity. In her passages from adolescence, into the turbulent teenage years, and later on into adulthood, I hope I can teach – and possibly guide her – based on my adventures on my life’s journey thus far. First lesson my Emilia, one of my primary drives as your mother is to make sure you never feel alone or unsupported. I am certain most of us have lived through such moments at one point or another in our lifetimes. You may feel as though you are alone at that moment, yet I will drill into you daily I will be there to catch you when you stumble. I may not always agree with your chooses, but you will never feel unsupported. Life is full of learning and growing from those times we wished we had responded differently. No matter the struggle, your individuality is what makes you beautiful and unique. Individuality is the creator of love and, unfortunately, hate. Embrace your authenticity and rise above the overbearing status quo. Do not feel as though you must agree with another’s opinions just to appease them. Build your views through knowledge and investigation, not just on the rhetoric of others. Individuality shines the brightest through confidence and compassion. Choose your words carefully. Back them with strength and sincerity. Do not suppress your passions in fear of judgment. The road less traveled can be the most scenic route to take. Do not forget our night mantra, “I am strong. I am peaceful. And I am kind.” Let those words be the foundation on all your ventures. Peru is a spectacular country comprised of captivating culture and unmatched landscapes. It's creative inspiration and energy will greet you the moment you arrive. I understand why people visit and then make the decision to stay permanently. I know a few. My trip was planned to photograph the Inca Trail to Machu Picchu for the one hundred year anniversary of the discovery of the settlement by Hiram Bingham. A guide, a group of porters, and creatives – with our bags packed with heavy equipment – set out to document the trail on a six-day hike condensed to three days. Ambitious, yes. By doing so, we were able to avoid other groups traveling the path which meant capturing better imagery. Then the realization of what that meant set in – countless more miles to trek per day, less time to stop to create photographs, and less rest in the evenings. I will post more on the hike later on. I literally could write a novel on the experience. For this post, my focus is the destination. A place where ancient spirits float among the visitors and llamas are sacred. Welcome to Machu Picchu. At the last camp, we awoke at 3 AM to reach the Sun Gate (Inti Punku) before sunrise. Inti Punku is the entry point from the South. Inti Punku is dedicated to the cult of the Inti, the Sun God. As we climbed the last few steps the whole sanctuary opened up to us. It took our breath away. When you look up images of Inti Punku, you will see people sitting on the stairs quietly gazing. You are so utterly awestruck this is all you are capable of in those first moments. From this location, you can see the sun rise over the entire mountain ranges surrounding Machu Picchu. Giving the volume of tourists that are bused up to the site daily, we were fortunate enough to have some time alone amongst the ruins. It was a privilege and honor. Sitting in silence on the agricultural tiers of Machu Picchu (which feel like they drop down into oblivion) I was alone with the echoing of my thoughts. The undeniability of spiritual energy and stillness enveloping me was the most emotional collision I have ever experienced. The jungle works desperately to reclaim the ancient sites throughout the region. Our guide informed us that archaeologists cannot operate fast enough to preserve what has already been discovered and simultaneously uncover what remains. It is believed that only a fragment of what was built by the Incas has been unearthed. Looking out over the endless mountains the understanding of just how much is still hidden, still unlearned of such a prosperous and advanced civilization for its time, is enigmatic. For me, Peru was not a trip. It was a pilgrimage. Go. Pack a bag and a camera. Get on a plane now. I promise you will find a deeper level of your soul there. One of the most incredible elements of being a documentary photographer is that I can photograph my daughter discovering her sense of self as she grows and develops. The images I shoot are a reminder that in those moments she only knows what I – and those that care for her – teach her. Her sense of the world is one we have molded. 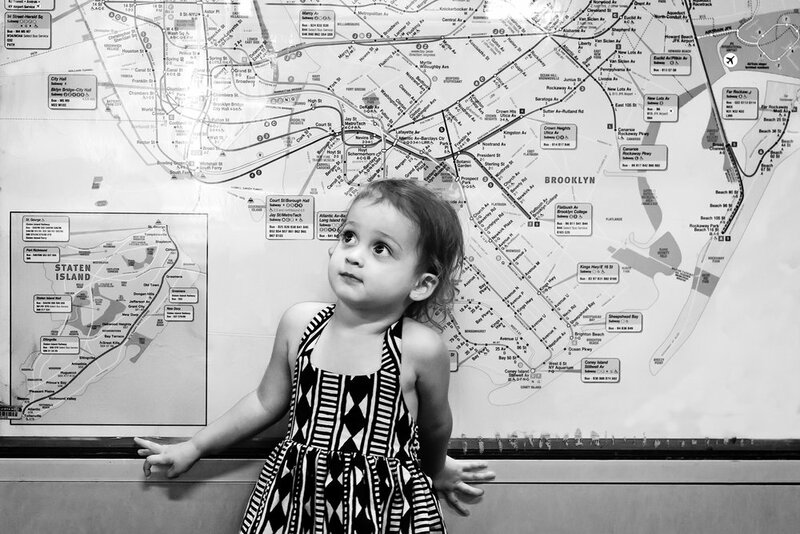 This time is fleeting, and now that she is two, I am seeing her begin to make conscious decisions for herself – to form her own opinions and develop her own ideas on life. Right now I recognize that my views and beliefs resonate with her in a unique way. This is what inspires me to keep snapping images. To keep capturing these passing times. I want them to stand still indefinitely for her to look back on. My career enables me to catch these strides towards maturity for Emilia, my husband, and me to hold on to. I designed The Unscripted Life Sessions to provide my client with this possibility as well. To present them with these extraordinary moments to reflect on, laugh about, remember, and to share with family and friends now and in the future. As a photographer, there is great satisfaction in knowing that the families I work with will have the opportunity to appreciate these unique moments as much as I do with my own.